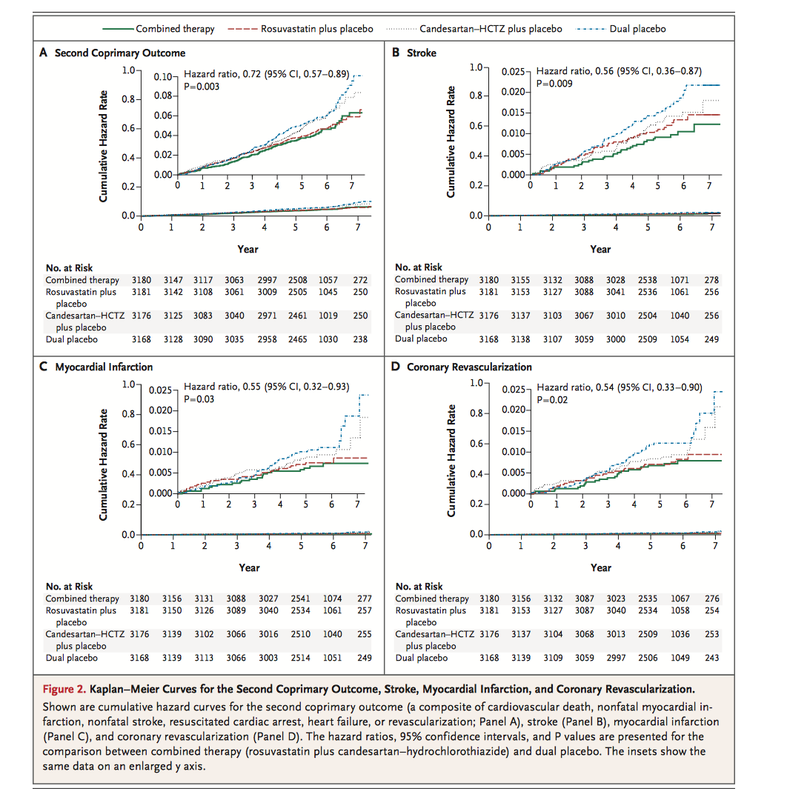 If BP> 144: Both BP lowering medications, and Statin are of useful. 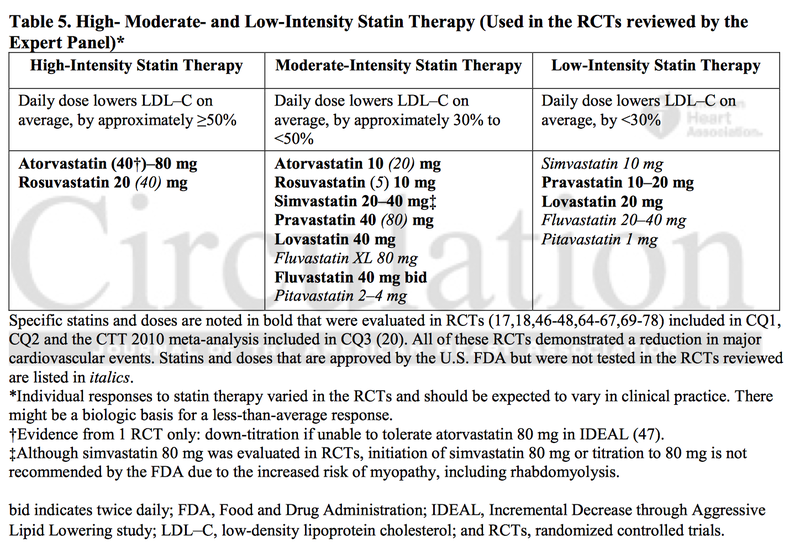 If BP< 144: Only Statin may be of use irrespective of Cholesterol level. 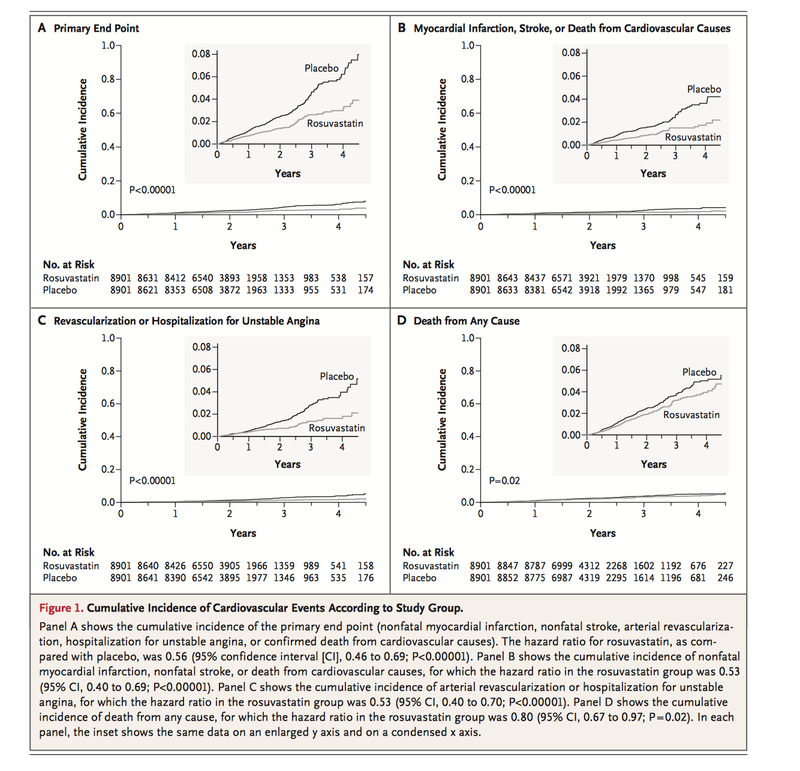 Bottom Line Statin are of useful in Primary Prevention of CV risks. 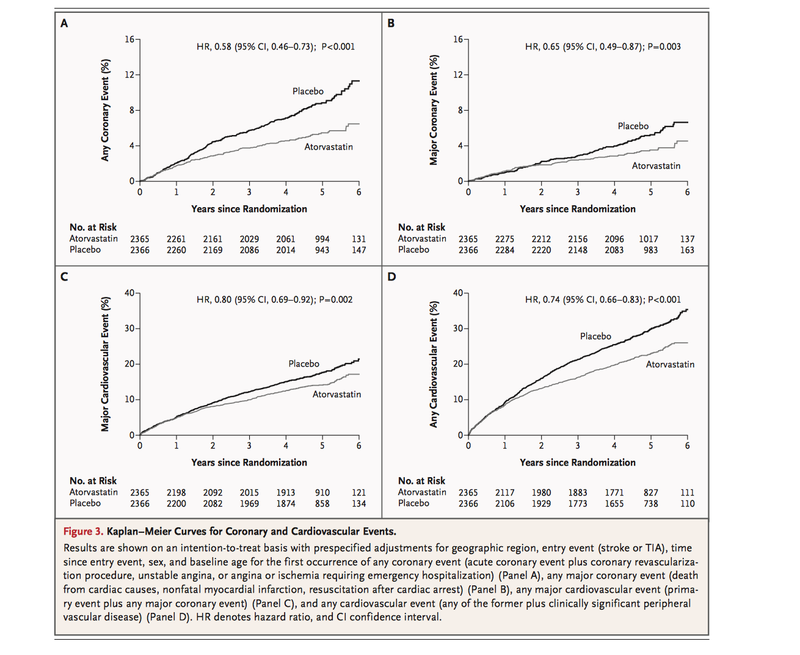 There was difference in patient with CRP > 2 vs < 2 (as used in JUPITER NEJM 2008). Hence, probably no need to check CRP in deciding whom to treat and not to treat. 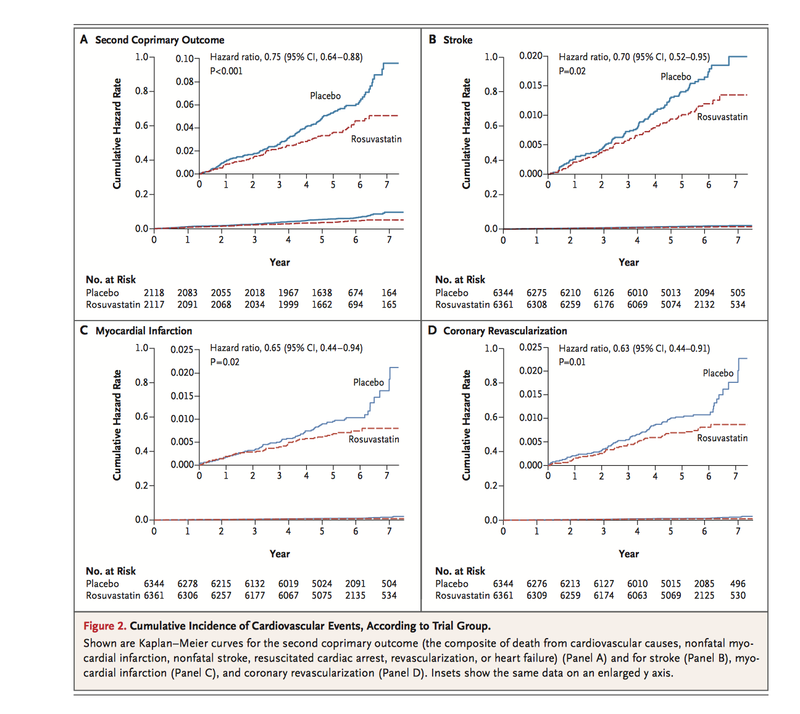 For secondary prevention, target matters, and they need to be on moderate-to-potent statin. But, for primary prevention, treatment can be started on the basis of risk, and LDL level may be checked. But, we have not had study yet on Rosuvastatin at 20 mg or 40 mg (Mod-high potency dose), which means if further drop in LDL will add to the benefit is not known. 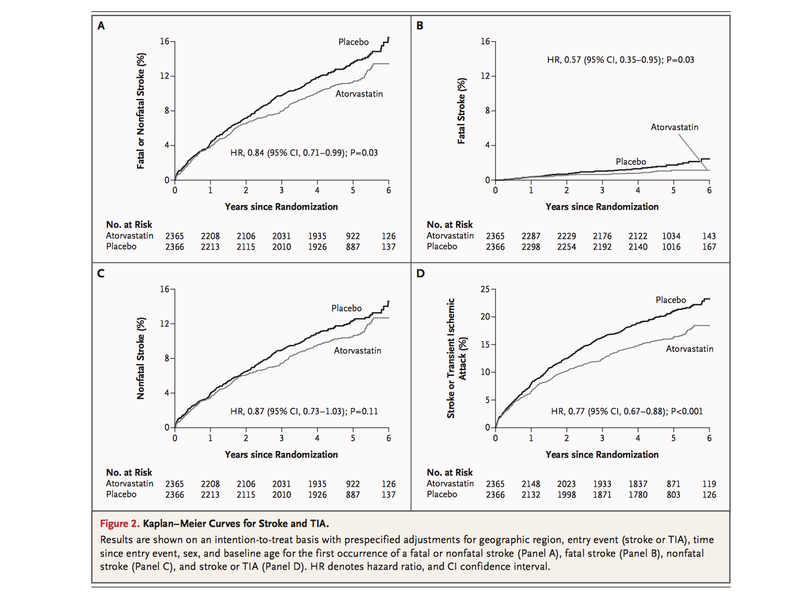 There is every possibility that Statin of lower level in these intermediate risk patients, may provide additional benefit. If that were to be found, then it would argue for LDL level hypothesis. Primary Prevention: Start based on risk factors. No need to check LDL in intermediate risk patients. 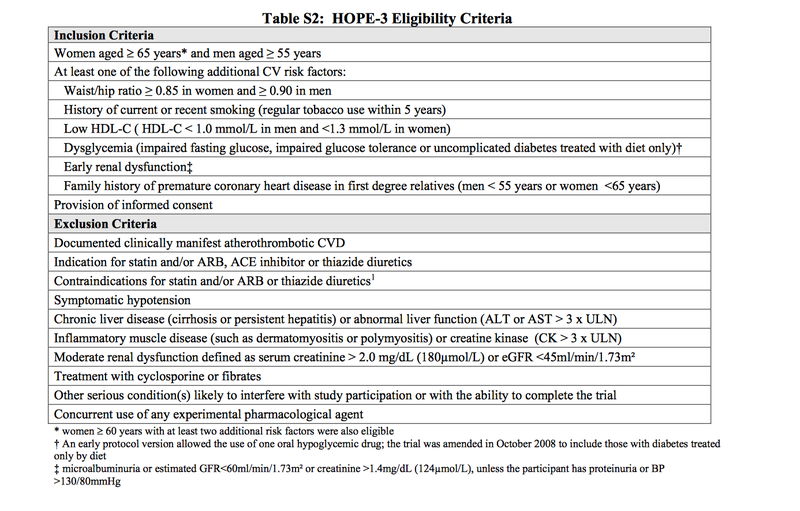 Can aim for LDL level in high risk patients. 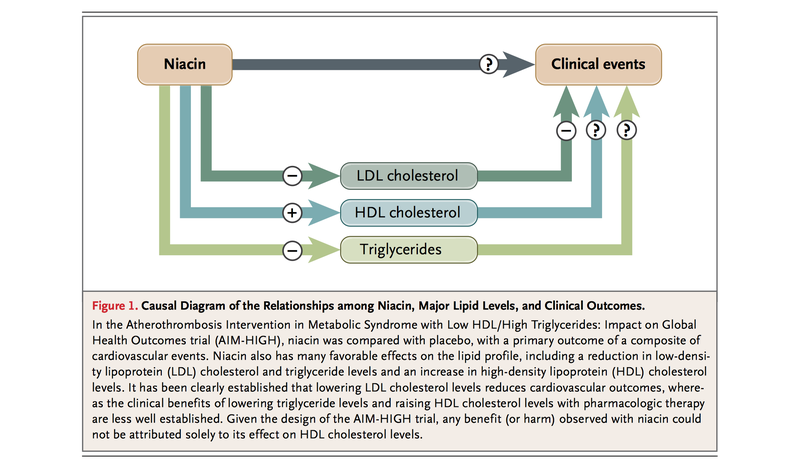 Secondary prevention: Aim for lower LDL. 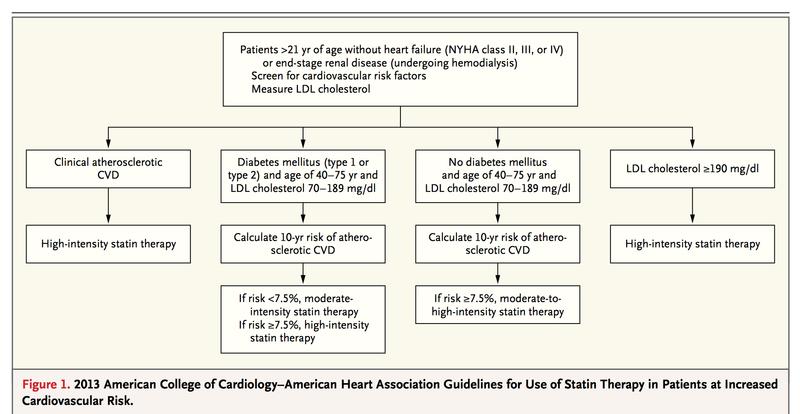 Ofcourse, we have started the statin based on risk factors, which is highest for these patients. Statins seem to have multiple non-cardiovascular effects. Myopathy: Randomized controlled trials suggest that statins are associated with a modest increase in the risk of myositis but not the risk of myalgia. Severe myopathy (rhabdomyolysis) is rare and often linked to a statin regimen that is no longer recommended (simvastatin 80 mg). Diabetes. Randomized controlled trials and meta-analyses suggest an increase in the risk of diabetes with statins, particularly with higher intensity regimens in people with two or more components of the metabolic syndrome.